BOOM! Studios and Twentieth Century Fox Consumer Products revealed today the addition of a 1-in-10 surprise connecting chase cover for each issue of the upcoming SONS OF ANARCHY comic book series. Based on the hit FX network television show, theSONS OF ANARCHY six-issue comic book series will uniquely feature and bring to life the gun-smuggling bikers with complex pasts and gripping personalities residing in the fictional town of Charming, California. 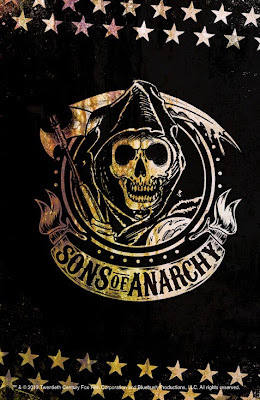 Each issue of the SONS OF ANARCHY comic book series will feature a 1-in-10 intermixed cover inspired by the striking season 6 promotional images that debuted in July from FX. 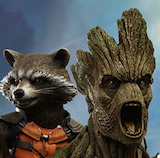 The six covers will connect to form one complete panoramic image of the show’s characters engaged in a grand melee. 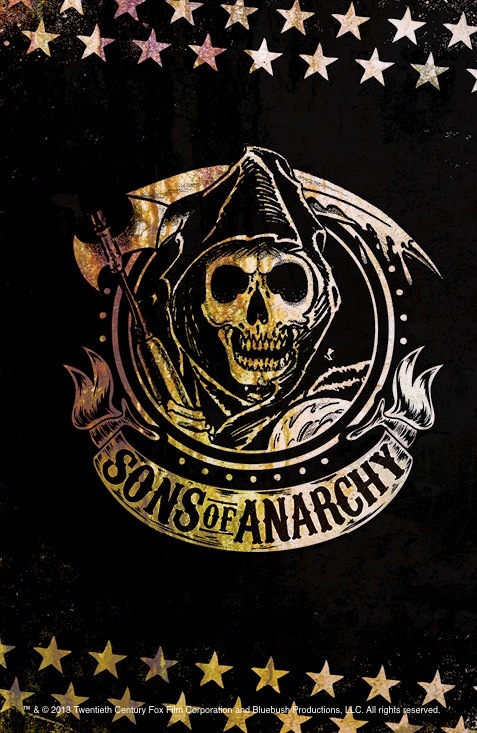 · WHY WE LOVE IT: SONS OF ANARCHY has captivated the attention of the entire BOOM! team with its smart plotting, compelling characters and modern vision of the outlaw genre. 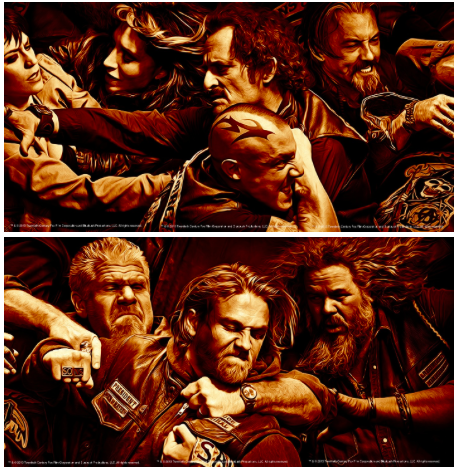 We love the show so much we couldn’t wait to help expand the world of SAMCRO. ·WHY YOU’LL LOVE IT: Gun-smuggling outlaw bikers with complex pasts and gripping personalities. If you love “guys with guns” like we do, this is that genre at its most elevated. 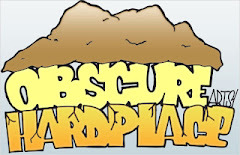 · WHAT IT’S ABOUT: With no one else to turn to, the daughter of an old SAMCRO member comes to Charming looking for help. The only people standing between Kendra and certain death are the Sons of Anarchy, and, for better or for worse,Tig. The highly anticipated series will be written by Christopher Golden (Baltimore: The Plague Ships, Buffy The Vampire Slayer) and illustrated by Damian Couceiro (PLANET OF THE APES: CATACLYSM). 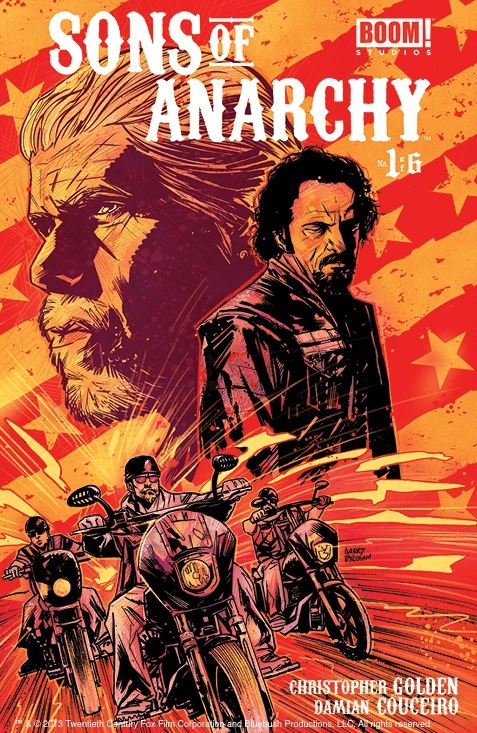 SONS OF ANARCHY comic book number one is a 32-page, full-color issue that retails for $3.99 and is available for order under Diamond Code JUL130914. It comes out in comic shops everywhere on September 11. 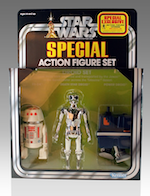 Retailers can increase their orders until Monday, August 19.